If you are looking for a Blue Care Network eye doctor in Livonia Michigan then you have come to the right place. Dr. Blaize is a Blue Care Network eye doctor, accepting Blue Care Network vision insurance as well as many other vision insurances and vision plans. Do you live in Plymouth, Redford, Farmington Hills, Livonia, or Northville? Call 248.482.2020 and schedule your eye exam with Livonia’s #1 Blue Care Network eye doctor today! If you don’t have Blue Care Network vision insurance don’t despair; we also accept Blue Cross Vision Plan, Aetna, Davis, Medicare, VSP, Eyemed, United Healthcare, or another vision insurance. Call Dr. Blaize, our very own Blue Care Network eye doctor today for more information! Great Selection of Glasses. 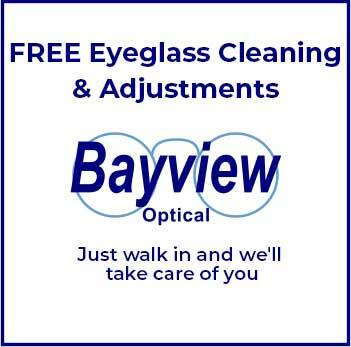 I started going to Bayview Optical last year and wish I had started sooner! All the workers are so professional and knowledgeable of their profession.They are SO helpful and make you feel very welcome in their store. They have a great selection of glasses and make sure you feel you are 100% satisfied before leaving. I would recommend this optometrist to anyone and already have! Better Than An Eyeglass Chain. I had gone to a “chain” to get my eyes examined and get new glasses. I was unhappy with the selection they had so I told them I would like to shop elsewhere. They then tried to put through the sale to my insurance company! What a rip off. I heard of Bayview from a friend who had really nice glasses and said the people here were very nice, friendly, and professional. She was right. They were so helpful and had a great selection. When I received my glasses I found even the prescription from the other place was wrong. Bayview re-examined my eyes and fixed my lenses. They are awesome. Knowledgeable Eye Doctor. My experience at Bayview Optical has always been great. Dr. Blaize is very knowledgeable, and has a very patient staff. Everyone is very helpful and ready to make you satisfied with your experience. They have very stylish frame choices, with a generous selection. I have absolutely no complaints. My whole family is treated by Dr. Baize and his staff and we couldn’t be happier!